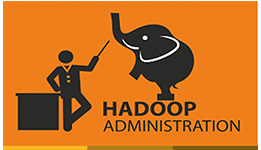 Hadoop Online Course offers comprehensive course on an array of Hadoop technologies for administrators, data analysts and developers. The Hadoop Online Course is designed in such a format that meets your availability, convenience and flexibility needs, these online courses will lead you in the direction to become a certified Hadoop professional. 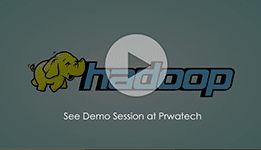 The online Hadoop training course by Prwatech imparts knowledge about the fundamental principles of Hadoop and gets the participants acquainted with the benefits of Big Data. 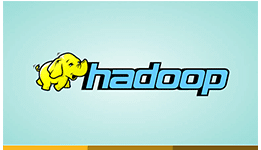 The Hadoop online Course provides in-depth knowledge about Hadoop MapReduce, Hadoop Distributed File System (HDFS), Hadoop Cluster and implementation of a Hadoop Project. At the completion of this course, the participants become proficient in performing data analytics with Pig & Hive, writing complex MapReduce Programs and in processing Big Data sets efficiently. The Hadoop online course by PrwaTech is designed to make sure that you are fully equipped to take up any assignments in Hadoop. This training not only prepares you with necessary Hadoop skills, but also gives you the required work experience in Big Data Hadoop by the use of real-life industry project implementation. 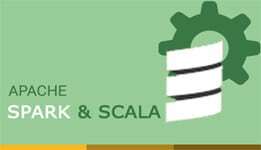 Mastering the concept of Hadoop framework and deployment in cluster environment. Become skilled at writing complex programs in MapReduce. Execute Data Analytics using Pig & Hive. Acquire comprehensive understanding of Hadoop Ecosystem like Apache Oozie workflow scheduler, Flume etc. Mastering concepts of Hadoop: Zookeeper, Hbase and Sqoop. Hands-on experience in configuring different set-ups of Hadoop cluster. 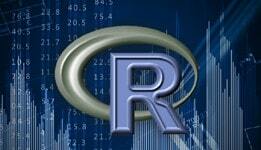 Hands-on experience in industry based projects using Hadoop. Learning objectives – In this module, you will learn about the: basic concepts of UNIX, LINUX, Java, HDFS, Big Data, Hadoop, Hadoop data loading techniques, Solving big data problems using Hadoop, MapReduce, Hadoop cluster and role of Hadoop cluster. 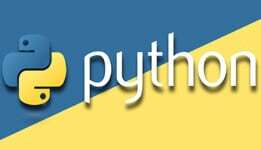 Topics: Introduction to UNIX, Introduction to LINUX, Introduction to Java, Introduction to HDFS, DWH Concepts, Pig & Hive, Map reduce. Learning Objectives – In this module you will learn about Multiple Hadoop Server roles, Understanding Pseudo cluster, Installation of Hadoop, Understanding Map-Reduce, files configuration and parameters. 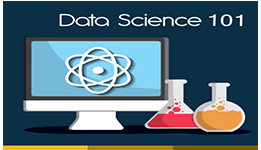 Hadoop Installation, Hadoop Configuration, Understanding pseudo-distributed mode, deploying multi-node cluster, Role of Hadoop server, Rack knowledge, Write and Read Anatomy, Data Processing. Learning Objectives – In this module you will be Understanding Hadoop Cluster setup, concepts of managing and planning Hadoop cluster, Troubleshooting Hadoop cluster, Monitoring Hdoop cluster, Executing MapReduce Jobs. Topics: Concepts of Hadoop Cluster, Scheduling jobs, Monitoring cluster, Cluster Size, Knowledge about Hardware and Software portions, Schedulers in Hadoop, Troubleshooting cluster, Schedulers Configuring and run Map Reduce. Learning Objectives – This module will help you to understand Clustering basics, Clustering administration tasks like adding or deleting data nodes, Node recovery, Configuring in Hadoop, Backup in Hadoop, Recovery in Hadoop, Troubleshooting node failures and Upgrade Hadoop. Topics: Maintaining Hadoop Backup, data nodes white list and blacklist in a cluster, quota’s setup, upgrading Hadoop cluster, DISTCP, Diagnostics, Recovery, Cluster Troubleshooting, Rack Configuration. Learning Objectives – In this module our main focus is to understand Hadoop 2.0 New Features, HDFS, YARN, Hadoop 2.0 setup, MRv2, Secondary NameNode setup, NameNode check pointing. Topics: Configuring Secondary NameNode, , Deploying Hadoop 2.0 in pseudo-distributed mode, Hadoop 2.0, YARN, MRv2, Hadoop 2.0 Cluster setupdeploying a multi-node Hadoop 2.0 cluster. Topics: Hadoop Platform Security, Configuring Kerberos, Auditing and Alerts, Configuring HDFS, Monitoring, Log Management and Service Monitoring. 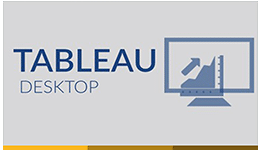 Learning Objectives – This module will assist you in learning Oozie Workflow Scheduler, deploying HBase, Hive Administration, effectively load data, read and write from HBase. Topics: No SQL, H base, Zookeeper, HBase Architecture, Sqoop, Flume, HBase setup, Oozie, Yarn and Hue. Learning Objectives – In this module you will work on a real-world case and learn about implementing, planning, designing and deploying Hadoop cluster. You will also learn about Hadoop eco-system components. Topics: Implementing, planning, designing and deploying Hadoop cluster, Hadoop ecosystem components, troubleshooting cluster problems, AWS cluster. This module in the Big Data Hadoop Course helps the learners in understanding Hadoop 2.0 features like MRv2, YARN and HDFS Federation. The topics covered are New Features of Hadoop 2.0, High Availability of NameNode. This module helps the readers in understanding how different Hadoop ecosystem elements work together towards Hadoop implementation for solving Big Data issues.